My favorite holiday of the year is coming soon ♥ Christmas is the most magical season of the year filled with lots of love from family & friends. It's the season to share your love to your loved ones and pamper them with gifts. I can't wait to see the Christmas decorations in shopping malls and listen to the heart-warming Christmas Carols. 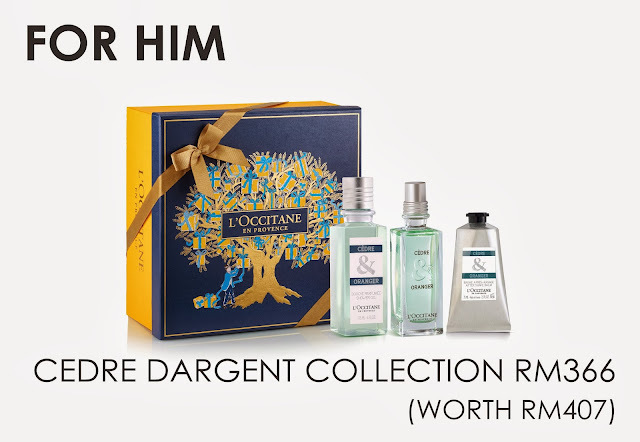 This year, L'Occitane invites their customers on a journey to rediscover the sweetest memories with Un Noël à Grasse, two limited-edition additions to the iconic La Collection de Grass line of fragrances – Fleur d’Or & Acacia (for her) and Cèdre & Oranger (for him). 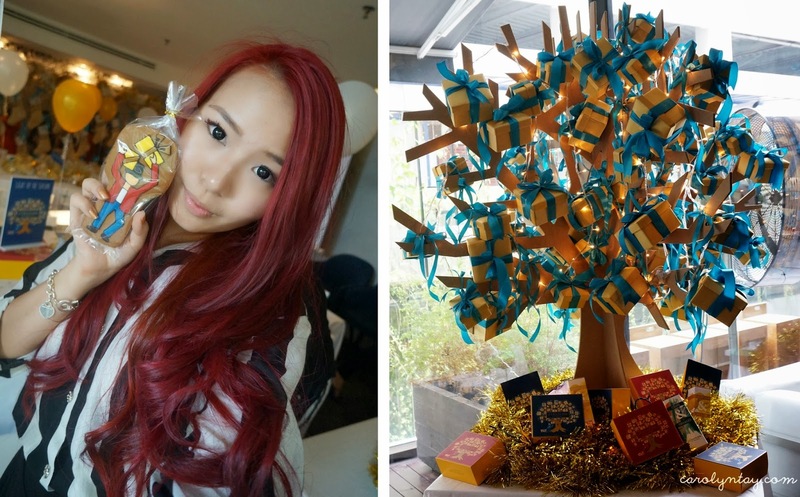 The decorations are just too beautiful, L'Occitane team seriously did a good job! Wowbooth was there to help us capture this joyous moment. Does my hair suits the Christmas season? Look how sparkly the shower gel! These limited edition perfumes Fleur d’Or & Acacia (for her) and Cèdre & Oranger (for him) are created by the famous perfumer, Karine Dubreuil who grew up in Grasse. These perfumes tell of memories spent reliving her childhood days in Grasse during the magical season of Christmas. 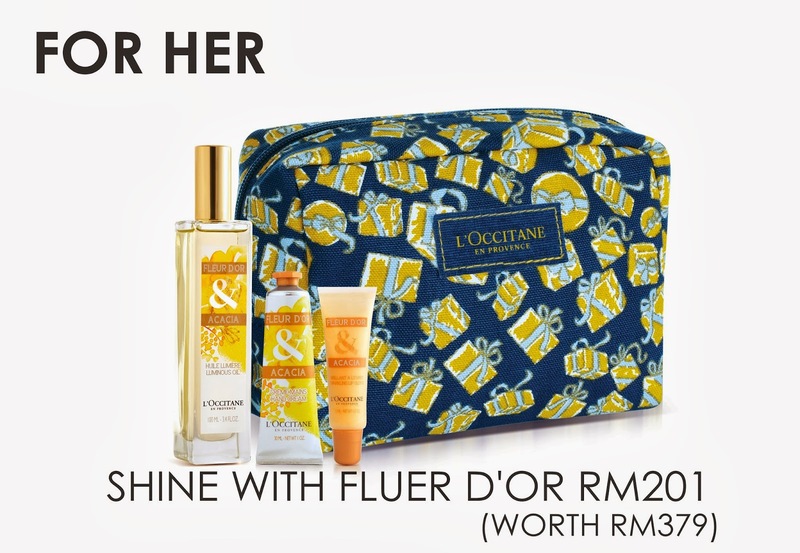 The scent of Fleur d’Or & Acacia (for her) reminds me of honey jasmine flowers, it has an amazing golden floral. It opens with the most realistic wildflower honey note I've smelled in a perfume thus far, sweet and rich, melting into a mess of yellow mimosa pollen and acacia petals. I think L'Occitane always come up with good honey scents and this is definitely my favourite of them all.